Please remember that clubs start on Tuesday. Children from SK – grade 12 will be taking the 4:30 buses home on Tuesdays and Thursdays until the club are over on 19 October. Students either received their 1st choice with only a few receiving their 2nd choice in clubs. Students should check with their homeroom teachers so they confirm which clubs they are in and what gear they need to bring on order to be prepared. The Explore China trips are set and ready. The Trips leaders should be meeting with their respective grades and getting information out to students and parents asap. Please return signed permission slips and a copy of your passport asap. Grade 10 – Shangri La with Ms. Carol, Mr. Johnathon and Mr. Stephen D.
ADI will offer sports, Soccer, Basketball and Tennis, at LIS on Saturdays starting on 9 Sept. and finishing on 2 December. This is for LIS students from JK – grade 5. Read More. 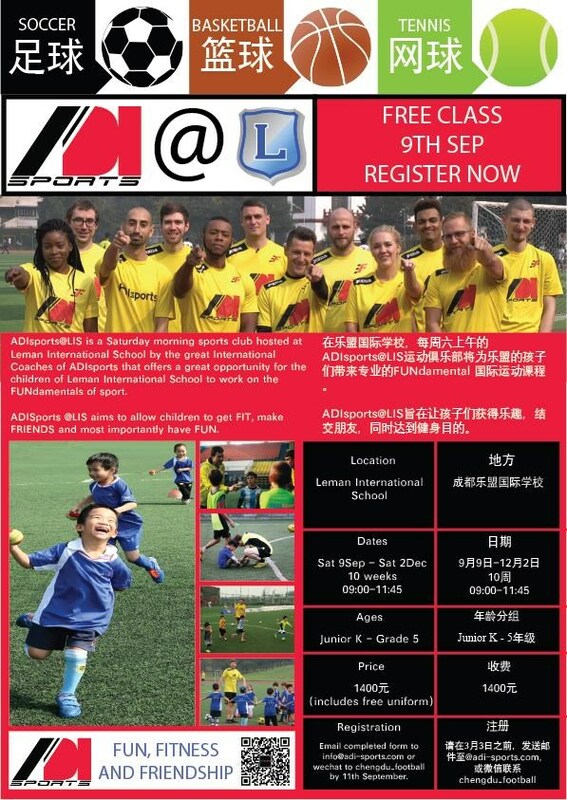 ADI Sign up information is attached to this newsletter. This program is only open to children that are registered students at Léman. House teams are ready for this year. New students should check with their homeroom teachers to find out their houses. Monday 28 August starts our first season for this year’s U19 B & G Volleyball players who hold their first practices with Ms. Carol as the boys coach and Mr. Paul & Mr. Scofield as the girl’s coaches. On Tuesday the U15’s start their soccer practices with Mr. Darren for the boys and Ms. Felicia for the girls. We will also have the U11 soccer when clubs start. This is a team and players will need to commit to both Tuesday and Thursday and to playing in the CISA tournament. Ms. Felicia’s PE class will start their swim classes the week of 11 September. Please make sure your children have the appropriate gear prior to this. The kids will need a LIS swimsuit, of which there are many styles, and a swim cap. The SK kids will also start swimming the week of 11 September in their regular PE classes.PK & JK will have double blocks of swimming in the spring sessions. The kids are all starting off with introduction to PE and fitness this year as we settle into the MYP. 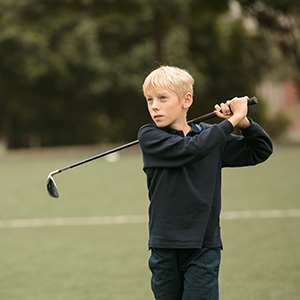 Please be sure that your child has the appropriate PE attire including sports shoes. The uniform is available from LIS clothing store.